Quit Smoking For 24 Hours…Or a Lifetime! The Great American Smokeout is an annual initiative organized by the American Cancer Society that encourages smokers to use the third Thursday of November to make a plan to quit or simply quit smoking, starting that day. Thursday, November 18th marks the 35th anniversary of this nation-wide initiative and researchers at SMU are prepared to help smokers make an effective and lasting smoking cessation attempt. It is estimated that only 5% of smokers who attempt to quit on their own and only 20% of those receiving standard smoking interventions are successful. 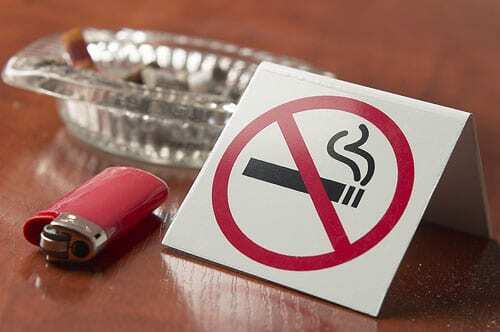 Funded by the National Institute on Drug Abuse, the Psychology Department at SMU under Dr. Jasper Smits is currently conducting a research study and smoking cessation treatment program that aims to increase those odds. Everyone enrolled in the study receives standard care for smoking cessation, which includes cognitive behavior therapy as well as nicotine replacement patches at no cost. In addition to this standard care, participants are randomly placed into either an exercise or a wellness education group with the hope that this extra treatment will make the program more effective than most quit attempts. Participants will receive monetary compensation for their participation in the research part of the program, but the real compensation is thousands of dollars worth of free treatment and, hopefully, lasting health and economic benefits. The health benefits to quitting smoking are numerous and increase with cessation time. Within just 24 hours, the chance of heart attack has already decreased. In one year, the risk of coronary disease is already half that of a smoker. After 5 years, the risk of lung cancer drops by half. In just 5 to 15 years, the risk of stroke is no higher than in people who have never smoked. As far as monetary benefits, smokers who consume a pack of cigarettes each day can save an estimated $5,000 dollars a year by quitting smoking. Non-smokers also have reduced insurance costs and reduce the burden on US healthcare spending, which is estimated at $97.2 billion per year devoted to smoking alone. Both The Great American Smokeout and SMU’s smoking cessation program offer Dallasites a great opportunity to take charge of their health and kick the habit for good. For more information on SMU’s smoking cessation program, please contact Michelle Davis at (214) 768-7848 or visit www.quitsmokingdallas.com.